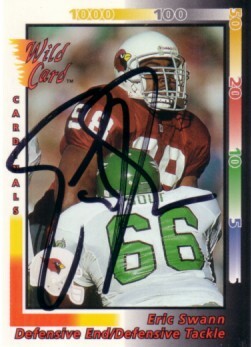 1992 Wild Card card autographed by former Arizona Cardinals star defensive lineman Eric Swann. Obtained in person, with certificate of authenticity from AutographsForSale.com. ONLY ONE OF THIS CARD AVAILABLE FOR SALE.